What I saw that morning were two very visible flying saucers. I noticed the first one coming from the west and heading east. Then I noticed a second one coming from the south. When they started getting closer looking like they were going to hook up or something. The first one heading east making a complete stop. When the second one which was heading south, reached the first one, it made a turn to head east. It was very cold out that morning and I didn’t have very much on to stay out much longer. I think I was standing out there for about 10 minutes. Neither one was moving at a fast speed but because the sky was rather bright that night, I had no problem in getting a good view of both of them. So after that incident, I made it a habit to look up at the night sky every night and what I have been seeing is something that I have no idea of what they are. This is every night when the sky is clear enough to see them and there are anywhere from five to thirteen of them that I can see. Because I have mentioned this, more and more people are coming forward and saying that they are seeing these strange things every night also. I don’t know if you would be interested to follow up on this. I have so much more to tell that would take up too much space here but all kinds of crazy stuff has been going on. Everyone that I have talked to don’t know if these things are from another planet, or if they are from our own government. I hope that I will be able to talk to one of your staff to fill them in on all the details. NOTE: The above image is a rendering. Ken Pfeifer Chief Investigator from MUFON New Jersey is investigating this case. NOTE: MUFON has a new show that is aired on Friday nights and it’s called ” Hanger 1 ”. The last episode touched on this interesting subject and made it very clear that livestock are disappearing and some are being dissected for it’s organs. I have always been a big critic of these so called UFO shows but this one is excellent. MUFON has hit a grand slam with this one. …..The above image is a rendering. I was walking back home from meeting a friend. I had arranged to be picked up from outside my home by another friend at 6.45pm on the 28th of December, 2013, so I know the time was approximately 6.40 to within a couple of minutes. It was dark and as I followed the path home the last part cuts through some unused ground at the side of a railway line. There is no street lighting there so I had turned on the torch on my phone. Since that particular stretch of pathway is dark you can get a good view of the stars without too much light pollution. I looked up into the sky and saw a star that caught my eye and for a brief moment I thought it was something out of the ordinary. I thought to myself “Dammit, I’m never going to see a real ufo”. I mention this as I feel it might be related to what happened next. When I came to the part of the path where the street lighting begins again I looked down to turn off my torch. At this point I was only 100 yards from my house. As I looked back up I saw three faint green lights in an equilateral triangle formation hovering/floating about 25 feet above the path directly (15-20 yards) in front of me. My first thought was “Ooh that looks like one of those triangle ufos I’ve heard about.” As the lights began to move I thought for a moment they were perhaps birds flying in formation but it quickly became apparent that it wasn’t the case as the lights holding their triangle formation about 7 or 8 feet apart on each side of the triangle began to bank horizontal and at the same time flew from my right to left and down towards the ground in the school playing field to my left. I realised that this was something completely out of the ordinary, and it seemed for a moment that it was about to land as it came down to a height of about 6 feet from the ground but then lifted the front end and executed a ‘loop the loop’ right in front of me. The loop apex was about 30 feet in the air and as the lights came back around towards the ground, the back 2 lights spread out slightly – like a bird might if it were catching the wind to glide. As it was at the top of the loop it was flying directly towards me and as I realised that I felt that burst of adrenaline that you get when you are scared, but I remained calm and continued watching without moving. Then it continued to fly into the playing field at head height and away from me for maybe 30 yards or so and then just kind of vanished or turned its lights off. There was no sound the whole time and the lights appeared as small orbs about the size of a football which were kind of like a mist lit from within – a kind of faint woolly green light. The three lights kept the same formation and gave the impression of being held together by some sort of invisible structure – what I assume was a craft of some sort. It was travelling pretty slow – around running speed – what is that maybe 15 or 20 mph? The whole sighting probably lasted only 15 or 20 seconds from start to finish. I don’t recall exactly but I’m pretty sure I stopped walking and stood and watched without moving when I spotted it although I may have taken a few steps towards it before I realised it was something unusual. As it disappeared I had the feeling that it was some kind of creature rather than a craft and that it had somehow read my mind and put on the whole display just for me – like it was showing off. I appreciate that those are quite extraordinary claims but the whole thing was way off the chart regarding how weird it was. Afterwards I remained standing there trying to figure out what I had seen and if it was some kind of laser display or some kind of trickery – I half expected to hear someone laughing or something. I must have been stood for a good 4 or 5 minutes before I resumed my walk home and just before I left I noticed 2 helicopters in the sky a couple of miles to the north. Maybe related-maybe not, but I remember thinking that the whole thing seemed to fit other sighting reports I have read. 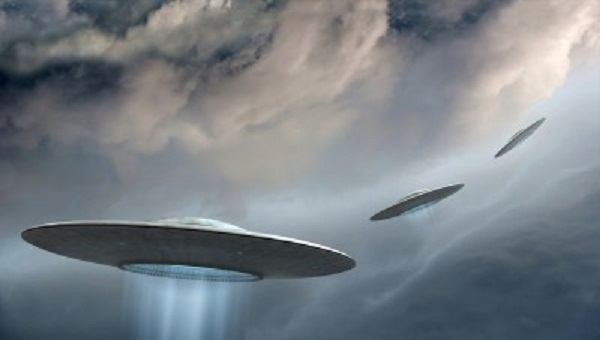 I have never had any other paranormal or ufo related experiences other than a possible ufo sighting about 6 years ago but it was far away and dark and although I think it was a ufo it was too ambiguous for me to make anything of it. However that did lead me to take an interest in the phenomenon as a whole and I have to say I am pleased that I now ‘know’ that there is at least some legitimacy to ufology. NOTE: The above image is a rendering. We were camping at the Pine Creek Campsite near Bayfield, CO, where two of our party had previously witnessed UFOs/strange lights in the sky. The craft appeared in the gap between two peaks, which is slightly west of true north. Initially, it looked like a single, white light, an excessively bright light, in fact. It’s hard to explain, but it was really, really bright – WAY brighter than any other plane or star. However, as it drew closer the white light seemed to separate into three smaller white lights in a perfect line with a red light hovering above it. Presumably, this was the top of the craft as it seemed to be descending. The truly interesting thing about this craft was that it was incredibly low, perhaps even 500 feet or less above our heads. It flew directly overhead and seemed to bank slightly before disappearing into the south – perhaps over Vallecito Reservoir. 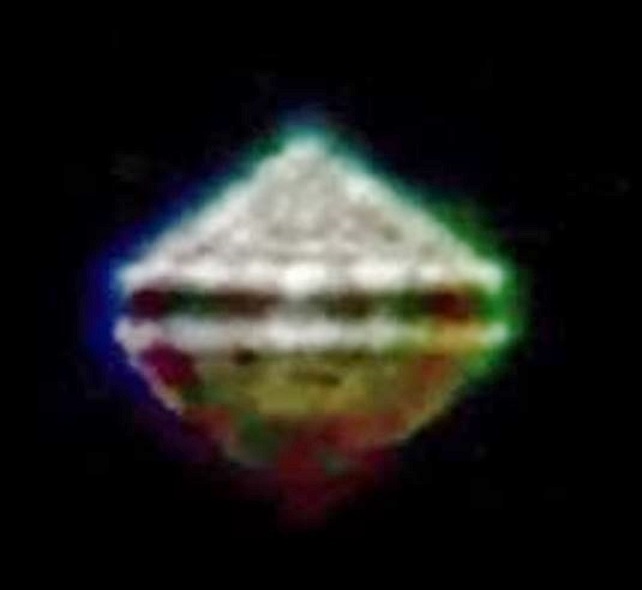 As it passed overhead and banked it became clear that this was a diamond-shaped craft. Small lights lined all four sides, delineating the diamond shape and showing the outline of the craft. From our vantage point we could see the underside of the thing which seemed to have four or five red lights (one at each corner and one in the center) and a series of three or four round white lights in the front and four slit-like lights toward the back. It moved slowly and took about thirty seconds to travel across the sky. It made a low, rumbling roar, but did not resemble a plane in any other way. I have no idea how large it was, but it seemed pretty big, at least as big as a jet, maybe bigger. About an hour and one-half later another craft appeared from the same general area and traveled the same general path. It seemed exactly the same, appearing as an extraordinarily bright single white light and then showing us the three white lights and single red light as it drew near. As before it was very low. Once again there were small, white lights around the perimeter, three or four white lights at the front and three slit-like lights in the back. The only difference was that the five lights at the corners were green and not red. 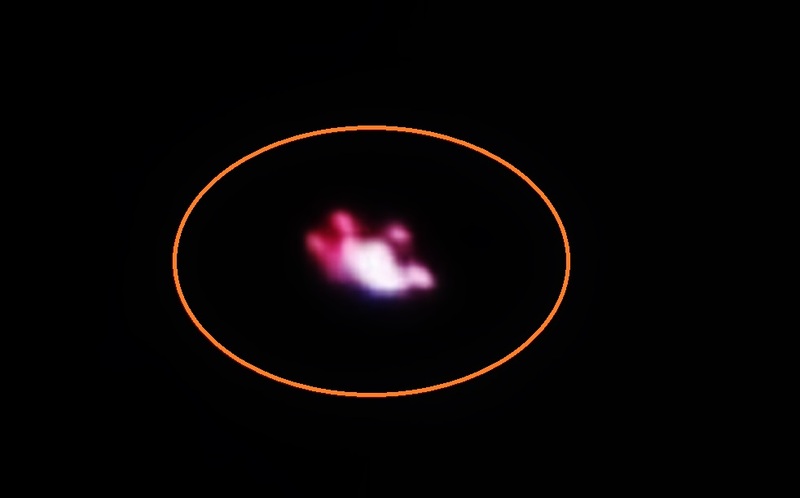 NOTE: The above alien craft was spotted over Pescara Italy on November 6, 2013. 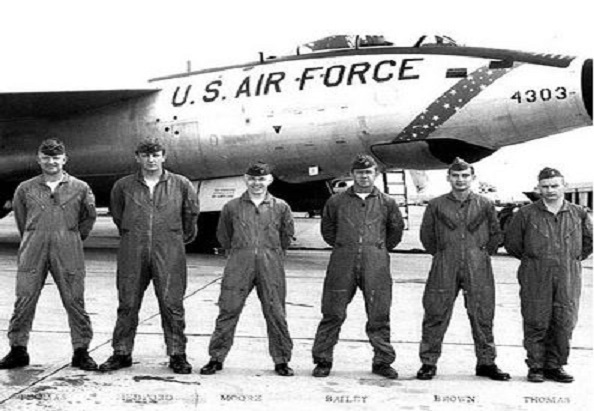 These six men were on a training/test exercise in an RB-47H electronic countermeasures reconnaissance aircraft. The RB-47, while originally developed as a bomber, was also used extensively as a reconnaissance aircraft. One was shot down by the Soviet Union while on such a mission in 1960. This particular mission began at Forbes AFB in Topeka, Kansas as an exercise including gunnery exercises over the Texas-Gulf area, navigation exercises over the open Gulf, and Electronic CounterMeasures exercises on the return trip across the south-central U.S. The men participating were soon to depart for Germany and duty there. It should be noted that the ECM equipment was not radar. It did not emit a signal and then pick up reflected echoes off of an object. Rather, it detected electromagnetic signals that were actually emitted by an object itself. The purpose of this was to detect and locate enemy radar installations. On this aircraft, the #2 monitor consisted of a direction finder with antenna on the lower rear of the aircraft, and the #1 monitor consisted of a direction finder with antennas on each wingtip of the aircraft. The #3 monitor was not involved in the events of July 17, because its range did not include the frequencies involved. The first contact with the unknown object was before 4:00 AM CST. The first two parts of the mission had been completed, and the aircraft was just leaving the airspace over the Gulf of Mexico near Gulfport, Mississippi, when Frank McClure, on the #2 ECM monitor, detected an airborne signal to the right rear of the aircraft, out over the Gulf of Mexico. The signal was of a type usually confined to ground-based radar installations. It was at 2800 megacycles, a common frequency for S-band search radar. McClure at first thought that his scope must be 180° out of alignment and that he must be picking up a ground-based radar station in Louisiana, which would actually be to the left front of the aircraft. As he watched, the signal moved up the scope, as it would if the scope was 180° out of alignment. However, he was amazed to see that, after it had moved up the scope on the right-hand side of the aircraft, it then crossed the path of the RB-47 and proceeded to move down the scope on the left-hand side. In other words, whatever was emitting the signal flew a ring around the RB-47, which was flying at approximately 500 mph. Even if the scope was 180° out of alignment, the signal source still moved completely around the aircraft, which no ground radar could do. McClure said and did nothing at this time, not mentioning the signal to the other crew members. The signal faded as they flew north. The RB-47 made a scheduled turn to the west over Jackson, Mississippi and the crew was preparing to begin a series of simulated ECM operations against Air Force ground radar units, when suddenly the pilot, Lewis Chase, saw a light coming in from the left, at approximately the same altitude as the RB-47. At first he thought it was another plane, but it was only a single white light, closing fast. He gave the command to prepare for evasive maneuvers, but the light flashed across from left to right so fast that no such action could have been taken. It then blinked out at a point to the right front of the aircraft. Both Chase and Copilot James McCoid observed this. At this point, approximately 4:10 AM CST, they were approximately over Winnsboro, Louisiana. Chase told the other crewmembers what he had seen, and McClure now told him about his earlier signal reading. 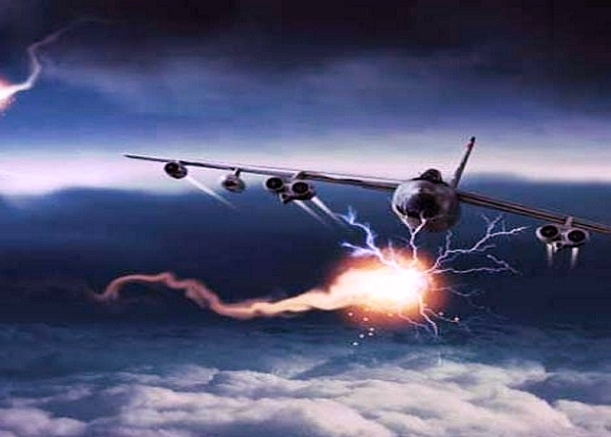 At 4:30 AM, McClure set his scope to detect signals near 3000 mcs again, and he detected a strong signal at the same location in relation to the RB-47 that Chase had last seen the light. He and Provenzano checked the alignment of the #2 monitor by tuning in on known ground radar installations and found it to be in perfect working order. At 4:30 AM, Provenzano tuned his own monitor, #1, to 3000 mcs, and found that his equipment detected a signal at the same location. What’s more, he and McClure found that the signal was staying in the same position, keeping pace with the RB-47, which was still flying at 500 mph. This meant that it was not a signal from a ground-based radar. By this time they had reached the Duncanville, Texas area. At 4:39, Chase spotted a huge light to the right front of the RB-47 an about 5,000 feet below the aircraft’s 34,500 feet altitude. The weather was perfectly clear. At 4:40, McClure reported two signals, at 40° and 70°. Chase and McCoid reported seeing red lights at those locations. Chase contacted radar Station Utah at Duncanville, Texas and requested permission to abandon his flight plan and pursue the lights, which he received. At 4:48 AM, radar station Utah requested the position of the signals that McClure was receiving, and they immediately confirmed that their radar had detected the objects at the same location. As the RB-47 attempted to pursue, the object appeared to stop suddenly. Chase could see that they were gaining on it, and they over shot it. At 4:52 it blinked out, and simultaneously vanished from McClure’s scope and the ground radar! Chase put the aircraft into a port turn, and the object suddenly blinked on again, simultaneously reappearing on McClure’s scope and the ground radar at 4:52! They began to close to within 5 miles of the object, when it suddenly dropped to 15,000 feet and then blinked out again, once again vanishing from the scopes and ground radar. At 4:55, Chase radioed Utah radar station that they had to break of pursuit and continue with their scheduled flight plan due to low fuel. At 4:57 McClure picked up the signal again, and at 4:58 Chase made visual contact again. As they headed into Oklahoma, McClure continued to receive a signal, now from the rear of the aircraft, until it finally faded as they neared Oklahoma City. The Director of Intelligence, 55th Strategic Reconnaissance Wing, stated in his report that he had: …no doubt the electronic D/F’s coincided exactly with visual observations by aircraft cmdr numerous times, thus indicating positively the object being the signal source. NOTE: The above image is a rendering. It had happened in 1956. Cruising at 19,000 feet, a Navy R7V-2 transport – a four-engine Super-Constellation – was flying west across the Atlantic Ocean. The next stop was Gander, Newfoundland. Final destination, Naval Air Station, Patuxent, Maryland. The night was clear, visibility unlimited. In the senior pilot’s seat, Commander George Benton was checking the dim-lit instruments. At thirty-four, Benton had a decade of Navy flying behind him. He had made the Atlantic crossing more than two hundred times. Back in the cabin were two extra Navy air crews, en route home from foreign duty. Most of these men were asleep. Including Benton’s regular and relief crews, there were nearly 30 airmen-pilots, navigators and flight engineers aboard the Constellation. As Commander Benton finished his cockpit check, he glanced out at the stars. Then he leaned forward, puzzled. A few minutes before, the sea below had been dark. Now there was a cluster of lights, like a village, about twenty-five miles ahead. Benton looked over at his co-pilot, Lieutenant Peter W. Mooney. “What do you make of those lights?” Mooney peered down, startled. “Looks like a small town!” “That’s what I thought.” Benton quickly called the navigator, Lieutenant Alfred C. Erdman. “We must be way off course. There’s land down there.” “It can’t be land.” Erdman hurried forward from his map table. “That last star sight shows…” He broke off, staring down at the clustered lights. “Well?” said Benton. “They must be ships,” said Erdman. 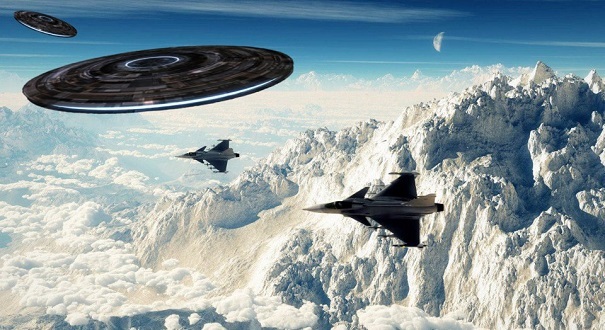 “Maybe a rendezvous for some special operation.” Giant Flying Saucers “They don’t look like ships,” said Benton. He called Radioman John Wiggins. No word of any unusual ship movements, Wiggins reported. And no signals from the location of the lights. If they were ships, they were keeping radio silence. “Wake up those other crews,” Benton told Erdman. “Maybe somebody can dope it out.” In a few moments, two or three airmen crowded into the cockpit. Benton cut off the automatic pilot, banked to give them and the men in the cabin a better view. As the transport began to circle, the strange lights abruptly dimmed. Then several colored rings appeared, began to spread out. One, Benton noticed, seemed to be growing in size. Behind him, someone gave an exclamation. Benton took another look. That luminous ring wasn’t on the surface – it was something rushing up toward the transport. “What the devil is it?” said Mooney. “Don’t know,” muttered Benton. He rolled the Constellation out of its turn to start a full-power climb. Then he saw it was useless. The luminous ring could catch them in seconds. The glow, he now saw, came from the rim of some large, round object. It reached their altitude, swiftly took shape as a giant disc-shaped machine. Dwarfing the Constellation, it raced in toward them. “It’s going to hit us!” said Erdman. Benton had known normal fear, but this was nightmare. Numbed, he waited for the crash. Suddenly the giant disc tilted. Its speed sharply reduced, it angled on past the port wing. The commander let out his breath. He looked at Mooney’s white face, saw the others’ stunned expressions. Watching out the port window, he cautiously started to bank. He stopped as he saw the disc. It had swung around, was drawing abreast, pacing them at about one hundred yards. For a moment he had a clear glimpse of the monster. Its sheer bulk was amazing; its diameter was three to four times the Constellation’s wing span. At least thirty feet thick at the center, it was like a gigantic dish inverted on top of another. Seen at this distance, the glow along the rim was blurred and uneven. Whether it was an electrical effect, a series of jet exhausts or lights from opening in the rim, Benton could not tell. But the glow was bright enough to show the disc’s curving surface, giving a hint of dully reflecting metal. Though Benton saw no signs of life, he had a feeling they were being observed. Fighting an impulse to dive away, he held to a straight course. Gradually, the strange machine pulled ahead. Tilting its massive shape upward, it quickly accelerated and was lost against the stars. Commander Benton reached for his microphone, called Gander Airport and identified himself. “You show any other traffic out here?” he asked the tower. “We had something on the scope near you,” Gander told him. “But we couldn’t get an answer.” “We saw it,” Benton said grimly. “It was no aircraft.” He gave the tower a concise report, and back at Gander teletype messages were rushed to the U.S. Air Defense Command, the Commanding Officer, Eastern Sea Frontier, the Director of Air Force Intelligence and the Air Technical Intelligence Center. When the Constellation landed at Gander, Air Force intelligence officers met the transport. From the start, it was plain they accepted the giant disc sighting as fact. Edward J. Ruppelt, head of Project Blue Book, which looked into such matters, chalked it up as “one of the year’s most fascinating sightings.” “The evening was clear, and visibility was unlimited,” he said. The pilot and co-pilot of a Pan-American DC4, flying at 8,000 feet on the New York-Miami run, saw a glow in the sky, “that soon resolved itself into six fiery red objects, each of them about 100 feet in diameter,” according to Capt. William B. Nash. “The edges were well defined, not phosphorescent or fuzzy in the least.” Ruppelt wrote, “their shape was clearly outlined and evidently circular. Nash and co-pilot, William Fortenberry watched in amazement.” The six disks in a narrow echelon formation were joined by two more, all flying at about 2,000 feet over the Chesapeake Bay. When the disks were almost below the airliner, they dimmed slightly and flipped on edge in unison. The edges seemed to be about 15 feet thick, and top surfaces appeared to be flat. After being interrogated by the U.S. Air Force, the two pilots were told the disks had been observed by seven other groups. Project Blue Book checked the positions of all known military and civilian aircraft in the area, finding nothing that would account for the sighting, which went into the official ‘unexplained’ category. The Air Force, which has constantly fibbed about UFOs, and/or put down those who sighted the “unusual” up there, published a conclusion by author Donald Menzel, who concluded the pilots were fooled by fireflies (honest) trapped by the double panes in the cockpit window (snicker-snicker). Obviously, many reported sightings were ‘mistakes’ or ‘phonies’ but there are too many that cannot be explained away. Heck, there are billions of stars out there, so it seems ridiculous to conclude we are the only ones with life. And, of course there are probably life forms far different from ours, acclimated to wherever they exist. A major story concerns the alleged crash of a flying saucer near Roswell, N.M. Bodies were supposedly found inside the craft. Here is where we return to our state: Charles Berlitz and William Moore thoroughly researched the subject and, in a book they penned, noted, “the carefully preserved bodies remained stored (as of the ‘90s) in a CIA warehouse in Langley.” NOTE: The above image is a rendering. On our way home from San Diego, California to Tucson, Arizona, my boyfriend and I were driving on Interstate 8. First I witnessed what I thought was a plane, then I realized the lights were much bigger and there was no aircraft, there were 3 round orb-like and orange lights in the shape of a triangle that were moving/flying rapidly upward then suddenly disappeared. At first I was very confused at what it was that I saw and why/how it disappeared, and if it was a plane how this was possible? I was totally perplexed and almost wanted to dis-acknowledge what just took place. What made me notice this was the size and triangular shape of the object and how quickly it was flying upward. Then about ten minutes later after we had driven away from the place we had stopped to watch it, we noticed that 4 more of these orbs appeared in a line. At this point we were further away from them, but they were the same color and shape ( bright orange orbs floating in same spot radiating intense light) then a minute later a 5th one appeared, and for the next 2-5 minutes these orbs continued to appear and disappear across different positions in the sky. Out of nowhere once again, it was as if someone flicked a light switch when they just disappeared. However, when they were still in the sky it did look like they changed shape at one point into a diamond like shape, but then they returned back into orb/circular shapes flickering immensely almost like extremely bright stars/suns. At this point I felt extremely happy/excited that I had seen something out of this world and unexplainable I was just happy and calling everyone I knew sharing that I was witnessing some crazy lights radiating this intense orange light. Then as I drove away I felt afraid and in shock for the unknown. At this point today I would just like to know what I had seen. NOTE: The above image is a rendering. On April 17, 1897, a mysterious airship is said to have crashed in the town of Aurora, Texas…exploding into many small fragments. Reportedly, the occupant was child-sized and greenish, and the craft contained papers covered with hieroglyphics. The pilot’s body is supposed to be buried in the local cemetery. 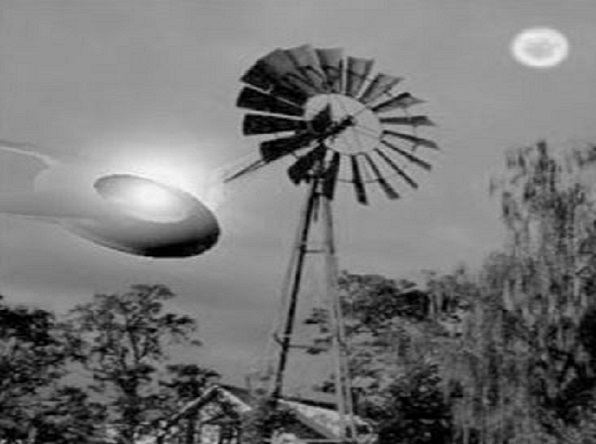 Legend has it that residents of Aurora, TX, had their own alien encounter more than 100 years ago. Just north of Fort Worth, Aurora has a population of 376. Something about it is different…mysterious, and some say, down-right weird. “It’s just a legend,” said Barbara Brammer, Aurora Historian. April 19, 1897 would change this town’s identity forever. “They said, ‘Have you heard of the Martian that crashed his aircraft into a well site in Aurora?,'” Brammer said. “And I said, ‘No.” A former mayor, Brammer first heard the story of the UFO crash shortly after her arrival in the 1950s. “I kept the legend going whenever I was teaching or when we had new people in to the community,” she said. Legend has it that in 1897 a number of reports came in from across the country of a cigar-shaped flying machine. An article in the “Dallas Morning News” reported that the craft came crashing down in Aurora. Today, the “crash site” is an old well, sealed with concrete. “About noon, the fire had gone out enough that they could get in there and see what really happened,” Brammer said. According to a report filed by an Army officer from nearby Fort Worth, in the crash debris was the body of the pilot said to be badly disfigured and ‘not of this world.’ “They scraped up all the stuff that they could find, brought it down here to the cemetery and gave him a Christian burial,” Brammer said. The grave site remains today under a tree in the old section of the cemetery. “They eventually came down and put a marker on it,” Brammer said. “The marker has been gone for several years.” It was stolen, Brammer believes, by souvenir hunters. The cemetery has been designated a “Texas Historical” site for, among other things, the legend of the UFO pilot. No one has ever been able to prove the story or rule it out. In the 1970s, The Texas Mutual UFO network asked to dig up the grave but was denied. “The cemetery board said, ‘You’re not going to touch that,'” Brammer said. Board members denied the request, she said, because they were worried Spotted Fever, which wiped out much of Aurora around the time of the incident, would rear its ugly head again. In 2008, another group of UFO hunters used ground-penetrating radar and did find a mysterious, unmarked grave. But the grave was so deteriorated, the radar simply could not identify what was there. So, the alien mystery continues, and the legend of Aurora is the only real thing that remains. “It’s a good story,” Brammer said. “It’s got to be a good story. It’s been around 112 years.” NOTE: The above image is rendering. My girlfriend and I were sitting on the beach, about 100 meters north of Dana Beach resort in Da Nang, Vietnam. We were sitting and talking for about 10 minutes or so when suddenly she saw something in the sky directly overhead that instantly caught her attention as strange. The time then was 6:45 PM. She mentioned immediately after the first sighting that she ‘felt’ something strange was happening above her, and she was compelled to look up. I looked up as well and my jaw instantly hung wide open, shocked and a bit scared at what I was seeing. It was a very large boomerang-shaped craft moving at a steady speed and straight line to the north, towards Son Tra mountain. Instantly I could tell this was something strange, and my mind started racing to try and identify what this thing was. It didn’t fit anything I’ve seen in the sky before. The object appeared extremely large, but it was also totally silent and had no lights whatsoever. My first reaction was that this thing was a kite someone had lost their grip on and was blowing over our heads. I quickly realized that this was no kite, because of its shape and altitude. There were two layers of clouds that evening, one low marine layer type sporadic clouds, and one blanket cloud cover at a very high, upper atmosphere level that covered part of the sky, especially to the north. The object appeared below the top layer of clouds, but well above the bottom layer. The outline was clearly visible when contrasting the top layer of clouds. It had a perfect boomerang shape. When passing in front of stars, it blacked them out. The color was a greyish white and actually looked almost ‘smoky’ like it had some kind of ‘active camoflauge’. It appeared to be a craft that was designed not to be seen. It maintained a steady, smooth speed as it passed overhead to the north and we lost sight of it as it blended in to the cloud cover towards the mountain. The sighting of the first craft lasted about 10 or 15 seconds. We were totally awestruck by this, and immediately started trying to figure out what it could have been. I was racking my brain trying to come up with some logical explanation but it just didn’t fit anything I’ve ever seen in the sky. I’ve been in dozens of airplanes in my life, big and small, I’m a skydiver, I’m a climber with lots of experience with high altitudes and weird looking cloud formations. This was nothing I could explain, no matter how hard I tried. The shape was too perfect. It was at an altitude where there were no other clouds. Though it was similar in color, it contrasted to the clouds that were in the sky. It was moving too fast. It had no lights at all. If it was an airplane of some kind, its relative size was too big. To look that big it would have to be flying at like 100 meters or something and would have been extremely loud. This thing was dead silent. The size, speed, perfect shape, altitude, lack of lights, clear straight line flight path… all of this didn’t add up to any aircraft I’ve ever heard of. Da Nang has a pretty active airport, right near the beach where we were. There are both commercial and military planes and helicopters flying overhead commonly every day. We’ve seen all of these and are familiar with them. I should mention that the skies were busy with air traffic that night, which is normal. There were no planes that seemed to interact with the craft we saw, and they looked like the normal blinking lights that we see everyday. So that was the first one. We were pretty excited to have witnessed this, and a little shaken up by it too. We started talking about UFOs etc. while looking straight up at the sky to see if anything else was there. After a few minutes of neck straining I thought nothing was coming. Every plane would catch our attention for a moment until we ruled it out as ordinary. It was looking at one of these planes that my eye caught the second boomerang craft. I could not believe I was lucky enough to be seeing this again. We got a longer look at this one, maybe 20 seconds or so before it blended in to the clouds to the north. It looked exactly like the first one and had the exact same flight path. I checked the time after we saw it, and it came about 15 minutes after the first one, at 7:00 PM on the dot. We were basically dumbfounded at this point. And sat waiting and watching for anything else that might appear. Nothing came. It is the next day as I write this, and I’m pretty blown away by what I witnessed last night. I hope somebody else saw this besides my girlfriend and I. NOTE: THE ABOVE IMAGE IS A RENDERING. Chevron Island local Jack Purcell shot video of what looks very much like an alien spaceship flying through the sky near his home last Thursday night. He was in the front yard with his mother and friends when they noticed the object. “We were all just sitting out the front and my mum pointed to the sky and said ‘look at that colourful plane flying over’,” Mr Purcell said. “Then it came to a sudden stop and was just hovering there. So I ran inside and grabbed my video camera.” Residents are seen walking out on to the street to get a glimpse of the object while a police vehicle later stops to observe. Mr Purcell said the police officers had to “call it in” with a police helicopter later flying near the area. “The police chopper would fly near it but then it would turn its lights off and disappear,” he said. It was really strange. I was quite sceptical of these things but it just blew my mind.” YouTube comments suggest the flying object was a remote control drone helicopter, but Mr Purcell disputes the theory. My girlfriend and I both saw a UFO at the same time. We both saw it from inside of our car. We were driving back home to Montgomery County in Maryland from Howard County in Maryland on Route 108. We were driving from the east to the west, specifically from the northeast to the southwest, more or less. I believe we were still in Howard county around the town of Clarksville – or Highland – when we saw the UFO on the right side of our car – the passenger side. It was not very far away from us, as there were some tall power lines – or a cell tower of some kind – off the road in the field to the distance from us on the right of our car and a bit ahead of us as we traveled toward it on the left. It’s hard to tell if it was one tower or a series of power line towers but I will look more closely the next time we drive by and see what it actually is and exactly where it is in relation to the road (Route 108). The UFO was moving toward the tower – and then STOPPED! It stopped by the tower right after we both noticed it up in the sky. It was NOT very far away from us. My girlfriend asked, “What is THAT? !” … I saw it, too, at the same time and also said, “Yeah, what IS that? !” “It’s not a plane, I can tell you that.” she added, as she rolled down the window to try to hear any sounds coming from it. I slowed down the car. Neither of us heard anything at all. Then I said, “It’s not a helicopter, either, because I can’t hear anything – and that’s too big to be a helicopter – and planes don’t just STOP like that.” It had red and green lights that were slowly going on and off. The lights were the first things we both noticed before seeing the object itself. It appeared horizontally long, like a metallic cigar in the sky by the tower. Then my girlfriend said, “I have a creepy feeling. We should speed up. Whatever that is, I have never seen anything do that before.” So, I sped up, and as I did so, the object began to move again and was heading in OUR direction. My girlfriend said, “It’s coming this way, toward the road. GO!” So I went even faster, and she took her seat belt off to look at it pass over the car and off behind us in the direction of the area behind my side of the car – back from the area of Howard county where we were coming from, back in the northeast direction, sort of. She looked at it as it sped off quickly, and the lights disappeared – and then the object itself disappeared. There was no sound of a helicopter or an airplane going over us from up above as you would normally hear. Then it was gone – and we continued to drive back home. NOTE: The above image is a rendering. 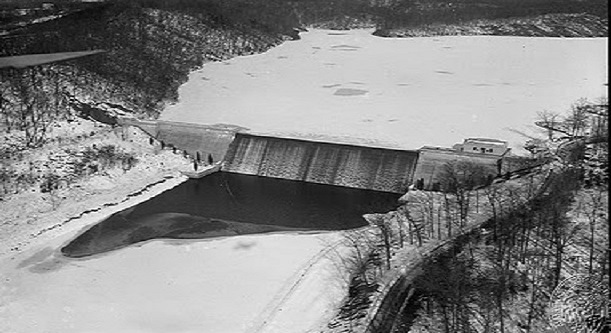 The Loch Raven Dam is located in Baltimore County, Maryland just north of the Baltimore City limits. On October 26, 1958, at 23:30 EST, two men, Philip Small and Alvin Cohen, witnessed an egg-shaped object hovering over the reservoir. It was approximately 100 feet long and 125 feet in altitude and brightly glowed white. The car power and engine failed when they approached at 200 to 300 feet from the object. The object emitted a flash. It then shot straight up with a loud noise and heat. The witnesses later reported their skin was reddened on the side facing the object. Small and Cohen later stated: “Shortly after you pass the dam…the bridge looms up in front of you at 200 to 250 yards away. We saw from that distance what happened to be a large, flat sort of egg-shaped object hanging between 100 to 150 feet off the top of the superstructure of the bridge over the lake.” “We slowed and decided to go closer and investigate the object. When we got to within 80 feet of the bridge, the car went completely dead on us. It seemed as though the electrical system was affected: the dash lights went out, the headlights went out, the motor went dead. Mr S., who was driving the car, put on his brakes [after the motor went dead], turned the ignition once or twice. We did not get any whirring sound; we were pretty frightened at that point. We watched it for approximately 30 to 45 seconds and then, I am not sure of the sequence of events here, it seemed to flash a brilliant flash of white light, and we both felt heat on our faces. Concurrently there was a loud noise, which I interpreted as a dull explosion. Then very quickly, the object started to rise vertically. It didn’t change its position [aspect], as far as we could tell, during the rising.” “The only different feature it had while it was moving was that it was very bright and the age became diffused so that we couldn’t make out the shape as it rose. It took from five to ten seconds to disappear from view completely. We were very frightened.” “…We got back to a phone booth in approximately 15 minutes. We proceeded to call the Ground Observer Corps, with no result. Our story elicited only complete disbelief.” Their initial attempts to file a report with the Ground Observer Corps were met with ridicule so they felt forced to report their encounter to the Towson Police Department who sent patrol officers to interview them. Noticing a sunburn-like appearance on their skin, the officers had them go to the local hospital for treatment. They were released later that night. The Towson police, not knowing how to handle the report, requested that Andrews Air Force Base investigation the sighting. NOTE: Over the years, there have been a few undocumented incidents in the same general area. In 1978, a local fisherman, by the name of Mitchell, alleged that a ‘bright round light’ rose out of the lake (about 500 yds above the dam), hovered over the water for a few seconds, then dove back into the lake. A similar account was circulating among several Baltimore City Water dept. workers in 1983. The only difference was that the ‘ball of yellow light’ traveled along the shoreline for several minutes before it suddenly vanished. It was stated that the workers had trouble starting their work vehicles after the sighting. In May 2000, an administrator at Greater Baltimore Medical Center told me he witnessed a disc-shaped object that ‘looked like green fire’ fly across the reservoir while he drove home one evening in January 2000. He said he had a very good look at the object since there was snow on the ground and the lake was frozen and covered as well…which provided a very good contrast. This occurred near the Paper Mill Rd. bridge. He stated he stopped his car, got out and noticed a strong sickening-sweet odor that made him retch for several minutes. He claimed that he had trouble keeping food in his stomach for a few days and that his eyesight was so impaired that he was unable to operate a vehicle for almost a month. He also said that he experienced increased joint and back pain since the sighting. The cause of his illness was never determined. BTW, I attempted to contact the witness for some follow up information about a year later and was told he had taken his own life not long after our initial conversation. Since my original post in 2010, I have been told of two additional sightings. 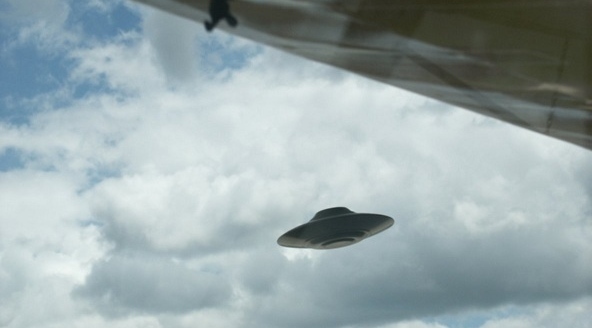 Both were disc-shaped craft that were seen hovering near the bridge area. I will continue to monitor the location. I believe that these craft and their operators have a specific attraction to the location, even though there have been renovations during the same period of time…Lon Phantoms and Monsters. 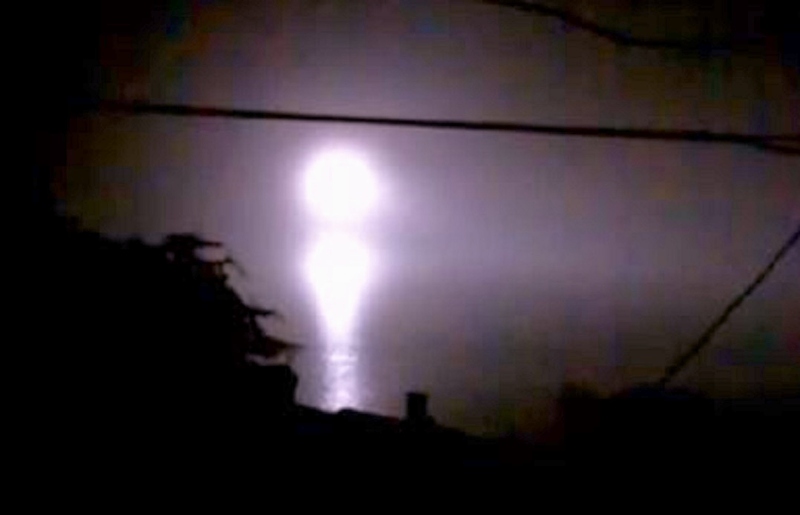 NOTE: The above image was taken over the water on 8-25-11 at Bogeda Bay California. One of the most controversial radar visual reports of the fifties occurred on August 31st, 1954. The story leaked out in December, 1954, and made front page headlines. The official navy file on the event remained classified until the Directorate of Naval Intelligence released a copy upon my request in 1982. 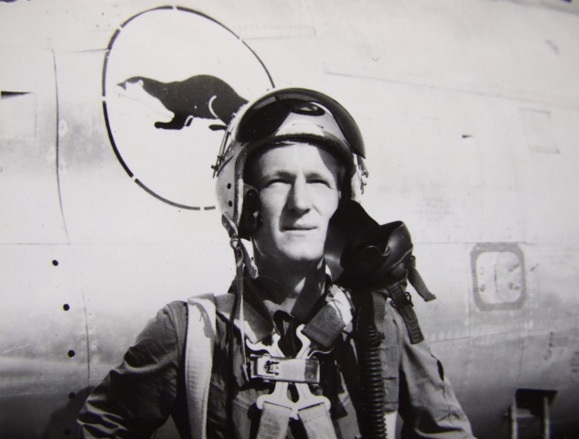 During his 1973 visit to Australia, Dr. Hynek was able to interview the pilot involved in this famous incident, which became known as the “Sea Fury” encounter. Dr. Hynek made his notes on this interview available to me during my 1984 visit to the Chicago headquarters of his organisation, the Centre for UFO Studies (CUFOS). I, in turn, provided Dr. Hynek with a copy of the official file on the incident. Lieutenant J.A. O’Farrell was returning to Royal Australian Navy Air Station Nowra after a night cross country in a Sea Fury aircraft. After contacting Nowra at about 1910 hours, O’Farrell saw a very bright light closing fast at one o’clock. It crossed in front of his aircraft taking up position on his port beam, where it appeared to orbit. A second and similar light was observed at nine o’clock. It passed about a mile in from of the Sea Fury and then turned in the position where the first light was observed. According to O’Farrell, the apparent crossing speeds of the lights were the fastest he had ever encountered. He had been flying at 220 knots. O’Farrell contacted Nowra who in turn confirmed that they had two radar “paints” in company with him. The radar operator, Petty Officer Keith Jessop, confirmed the presence of 2 objects near the Sea Fury on the G.C.I. remote display. The two lights reformed at nine o’clock and then disappeared on a north easterly heading. O’Farrell could only make out “a vague shape with the white light situated centrally on top.” The Directorate of Naval Intelligence at the time wrote that O’Farrell was “an entirely credible witness” and that he “was visibly ‘shaken’ by his experience, but remains adamant that he saw these objects” In a recent interview, “Shamus” O’Farrell described the incident: “I said, “Nowra, this is 921. Do you have me on radar?” “And a few seconds later they came back and said, “Affirmative 921. We have you coming in from the west. We have another two contacts as well. Which one are you.” “I said, “I think I’m the central one.” And so they said, “Do a 180…for identification.” So I did a quick 180 and then continued on around and made it a 360 back to where I was going. “They said, “Yes, we’ve got you. You’re the centre aircraft.” I said that’s correct. They then said to me, “Who are the other two aircraft,” and I said, “I don’t know. I was hoping you would tell me, because I didn’t think there was anyone up here. “They said, “Well there shouldn’t be, and they certainly shouldn’t be that close to you.” “So the conversation went on like this and I was very pleased to be talking to somebody because it gave me a lot of reassurance. With that these two aircraft came in quite close to me and I could really see the dark mass and that they were quite big, but I couldn’t make out any other lights or any other form of an aircraft. With that they took off and headed off to the north east at great speed. “I was about to press the button and tell them at Nowra that the two aircraft were departing when Nowra called me up and said, “The other two aircraft appear to be departing at high speed to the north east. Is that correct?” and I said, “Yes!”. And they said, “Roger, we’ll see if we can track them.” They tracked them for a while and then lost them. “I came in and landed at 7.30 (1930) and when I got there there were quite a few people waiting for me. I thought it was a bit strange and so they came over, and they said, “You sure you had aircraft out there!” and I said yes. The Surgeon Commander came over and spoke to me. He said did I feel sick, or was I upset. I said no. He ran his hand over my head to see whether I had any bumps. He had a look at me and decided I was okay. So then he said, “Perhaps you’d like to come to the sick bay after you’ve changed and we’ll do an examination.” So after I was finished I went up to sick bay and he gave me a more thorough medical, and said, no, I appeared to be alright. I found out later, that at the same time, they checked to make sure I hadn’t been drinking before I took off and all that sort of thing.” During this interview, Dr. Hynek’s involvement came up: “This man (Hynek) – a professor – had made a study of thousands of sightings all around the world and he had decided my sighting was one of those that he had not been able to explain away by other means. Any way I had a talk with him. He was a very interesting chap and he made the comment that there were about 13 or 15, I don’t remember, sightings that he was aware of over the years that were like mine and could not be explained away. The interesting thing he said was that all of these sightings had been made by professional people in aviation. By that he meant they were military pilots, military air crew, civil aviation operators, air traffic controllers, and the like, or airline pilots. These were the ones he was now (1973) going around meeting the people themselves and investigating. All the others he had written off and had been able to explain down to some other phenomena. It came to the point where he said, “Your sighting cannot be explained away.” And he left it at that. To this day I wouldn’t know where it came from or where it went.” I have had the opportunity to talk extensively with Shamus O’Farrell. I was particularly interested in how the interview with Dr. Hynek in 1973 came about: “It was done through Sir Arthur Tange, who was secretary of the Department of Defence at the time. Hynek contacted him direct… Sir Arthur Tange contacted me and said Hynek was coming out. He had written to him, through the US Embassy, to set up a meeting. And the next thing I knew I had a telephone call one day from Sir Arthur Tange saying that Hynek was coming and he would like me to met him. I said, well, I haven’t got all the facts, there all a bit hazy. So he sent me the two Defence Department files over to read, to refresh it all.” Bill Chalker: “That seems to indicate a high level of interest in Hynek’s visit at the time?” “Yes, well, I don’t think so. All that happened was that it was more of a courtesy because he was a very important guy, Hynek, and they wanted to show him the courtesies etc. As far as Defence was concern it was dead and forgotten but they had not got rid of the files. They kept them. Normally when files like that are written off they are either decided they’ll put them in Archives or dispose of them and destroy them. But they had done neither. They had remained in the JIO. They’d kept them. I don’t know what they had in mind about it, I never questioned it. I just used them as a means to refresh my memory. “Later the guy who became the chief Defence scientist, John Farrands, was very interested in it too, and he had done a lot of early investigations in most of the reports when he was chief defence scientist and in the period just before he became chief defence scientist. He had a talk with me. I was a friend of his. I used to meet with him at lunch. He went over it in great detail. He knew it all. He agreed it was something that couldn’t be refuted. No matter how hard they tried, and they tried very hard to knock it all back. They checked everything from medical, down to when was the last time I had had a drink…” Bill Chalker: “That must have been a bit of a concern to you?” Well, I wanted to hush it all up. That sort of investigation made me look a bit of a fool. I was worried it wasn’t going to do my career any good. “(Apart from the radar witness) it locked in a sighting over the NDB (non directional beacon) at Narulan, at the same time. There happened to be a guy working on the NDB. It was down at the time. He had gone to repair it. He happened to look up at the time because he saw these lights fly overhead. Also the air traffice control officer in the tower at Mascot saw them approaching him. 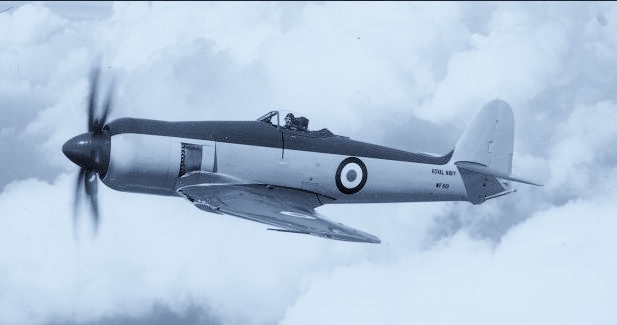 “It was all investigated by the then RAAF guy who did it and later it was also investigated by the Joint Intelligence Bureau.” In 1993 I assisted The Extraordinary television programme with a recreation of the Sea Fury incident. Shamus O’Farrell, Keith Jessop and I were interviewed on the show. 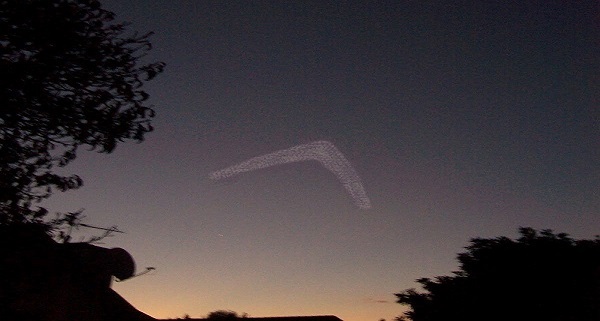 The case stands as one of the best unexplained radar visual UFO cases on record in Australia. Written by Bill Chalker NOTE: The above image is a rendering. As I was coming home from a night class at the Univ. of Rhode Island, early April, 2008, about 9pm, up ahead at the intersection of Ministerial road (rt. 110) and Old Post Rd, in the Perryville section of South Kingstown, RI. I saw a large (maybe 15 ft. across), round, off-white light hovering above a telephone pole (power transformer attached to pole). My immediate thought was ‘that’s not suppose to be there.’ I slowed down as I approached the intersection from the NW (Post Rd North) and stopped at the four-way stop sign, keeping my eyes on the light. There were no other cars on the road at that time. The night was clear with stars and cool. I was fixated on the light as I crossed the intersection and stopped my car below the large light, trying to make out the shape of the craft, which I thought was either triangle or chevron shaped. I was a dense, dark object with only the lights prominent. There was no noise whatsoever as the craft just floated perfectly still above the pole. I then noticed a small ‘electric green’ flashing light, like a neon light, and a beautiful green color, at what I would call the rear of the craft. I estimated that the craft was about 30 ft. to 50 ft. in length. There were two homes on either side of the road where I stopped (noticed no one inside) and an automotive garage (Scott’s automotive) which is usually open nights ’till 11pm, next to the house across from the pole. I got out of my car, keeping my door open in case I needed to beat a hasty retreat for any reason, while I observed in fascination this craft. At that moment a car came out from a small dirt road/driveway next to Scott’s Automotive and I thought it would stop…instead, it accelerated past me and blew through the stop sign heading North on Old Post Rd…the driver must have seen the craft I was looking at and in fear sped away. I was alone again at that point, and as I watched the craft in slowly and ever-so smoothly pivoted, rose up a bit, and slowly drifted off across Ministerial Rd, heading NW, over a hill and toward the town of Wakefield. At that point I had this strange sensation that time was slowing down, even as I got back in my car to head home nearby. I called the South Kingstown police to report this incident as I drove. The female dispatcher took my call seriously and said no other calls had come in related to it at that point. As I drove away from the spot the feeling of slow time seemed to go away. I was too fascinated to be scared of what I saw but never felt threatened by the craft at all…just felt lucky to have such a fascinating observation. NOTE: The above image is a rendering. This case is under investigation by Ken Pfeifer of MUFON Rhode Island. While camping alone on the cliffs of Gay Head, Aquinnah, Martha’s Vineyard, Massachusetts I made this observation. It was Bill Clinton’s birthday, as mine was the day before, so I guess we were both celebrating on the island…my accommodations were a bit more primitive than his I’d guess. To save money I drove my motorcycle to a secluded spot on Gay Head Cliff, looking out to No Man’s Island, an uninhabited island that had been used by the military for bombing practice, about a mile off shore. It was very dark, but a nice starry night. I had passed Clinton’s motorcade earlier that day and was just enjoying the solitude and peace of that beautiful island. The beach front lay before me at the bottom of the cliff; a clothing optional beach, very famous, was nearby and got extensive use on sunny summer days. The President had done a book signing that day in Vineyard Haven and may have been coming back from the beach when I saw his motorcade. It was late, about 1am, when I finally settled down, as I wanted to be as inconspicuous as possible; camping was illegal there. I had only a sleeping bag, which was enough for that nice weather. As I was looking out over the cliff to the SW I saw a fishing boat way off, a dragger, with all its very bright lights on, not moving so it seemed. Suddenly, to the right of the boat appeared a large, spinning, pinwheel kind of light, with reds, oranges, and yellows going round and round, going clockwise. It was just at the ocean surface and not far from the boat..I thought, those guys on the boat have to be looking at this light. It was kind of freaky watching, trying to figure out what it could be. It was not related to the boat at all. I watched it stay steady for about ten minutes when all of a sudden it just went out, like someone pulled a light switch…just gone. The boat was still in the same spot. I wondered whether it was still there with its light out or moving in the darkness with out lights. I kept watching but never saw the light again..I didn’t sleep much that night, wondering if it might find me there alone, miles from the nearest habitation. Just a weird and lucky observation for me. I wonder what the boat crew thought. I’d say the pinwheel was almost the size of the ship and that they were very near each other, relative to my position. Was it observing the boat? I don’t know. – MUFON CMS NOTE: The above image is a rendering. I was awakened at 2:38 a.m on 3/12/14 by a sound like my cellphone ring but it was only five notes. I opened my eyes and there was an image, about 2’x3′ on the wall in front of me. It was obviously bamboo trunks and leaves. The image faded to black in about 3 seconds. This has happened before with other images, like forest scenes. These wake-up calls are usually accompanied by craft being sited outside my window. This time my blinds were open. I rolled over and there was a very large star-like object (as big or larger than Venus or Jupiter.) Every amateur astronomer with even a 70 power scope knows how fast the moon and stars are moving up there. You have to keep adjusting your telescope constantly or the object drifts right out of our field of view in a few seconds. Knowing this, I positioned my view so that the bright object was against the window frame and waited. The object did not move for 10 minutes. After that, the angle started to increase from 45º to about 50º which was the opposite direction from the moon (which was visible and which decreased its angle during the time the bright object was both stationary and moving in a retrograde motion from Earth’s rotation.) I determined then to get my Nikon D7100 camera and do a telephoto long exposure shot, sort of thinking aloud, “If you don’t want me to photograph you, you can leave before I get back with the camera.” It did not leave. I held the camera against the glass and window frame and took the shot. The camera automatically did a 2 or 3 second exposure. I will attempt to upload the full resolution photo. 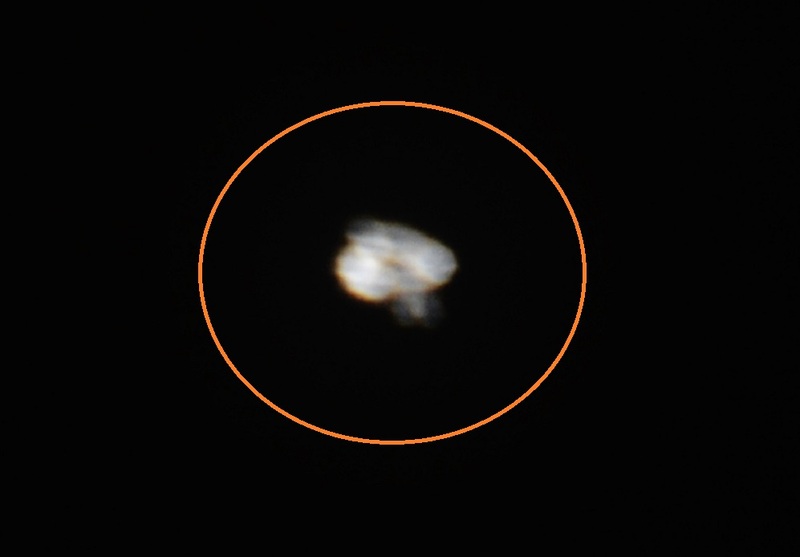 It appears to have captured some detail, not just a sparkle as would be the case with Venus or Jupiter since I only have a 200mm optical telephoto zoom on the camera. I have had more than 20 sightings since the first during the Phoenix lights flap. This is the first time I have ever attempted to take a picture of any of them. An adult male, with sky-watching experience, witnesses an unlighted, triangular shaped object glide across the night sky. 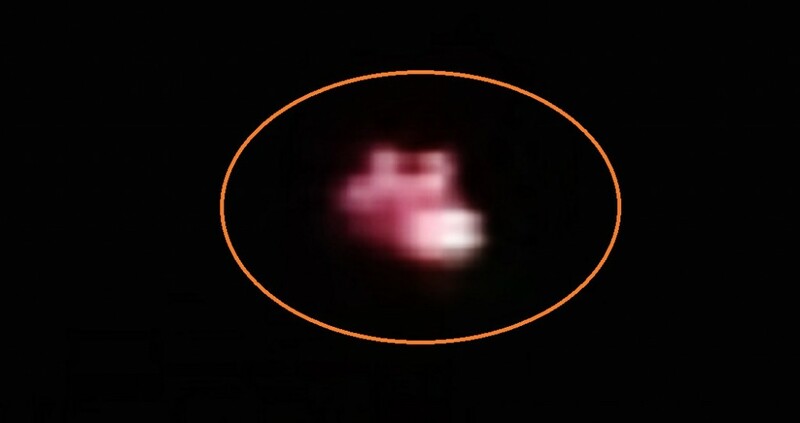 When last observed, the object was headed toward Chattanooga, TN. At 10:55 EST in Hixson, TN, a suburb of Chattanooga, I was standing outside letting me dog out when out of the corner of my eye I saw what appeared to be a triangular object with no lights on it gliding across the night sky. It was difficult to tell how high the object was, because there were no lights on it to help judge the distance, but I would guess relatively low due to the fact that it was about 1/8 to 1/5 the size of a full moon. There was no sound, and it was traveling east south east toward the center of Chattanooga. I observed the object for about 12 seconds or so as it flew out of sight remaining the same speed and direction the entire time. I’ve always been interested in looking up at the stars, and I own a telescope. I have never seen anything like this before. Since it had NO lights on it, it appeared a dark gray over the night sky. I strained to get as clear of view as possible and could not make out any form of a plane or bird. It definitely had a triangle shape. NOTE: The above image is a rendering. 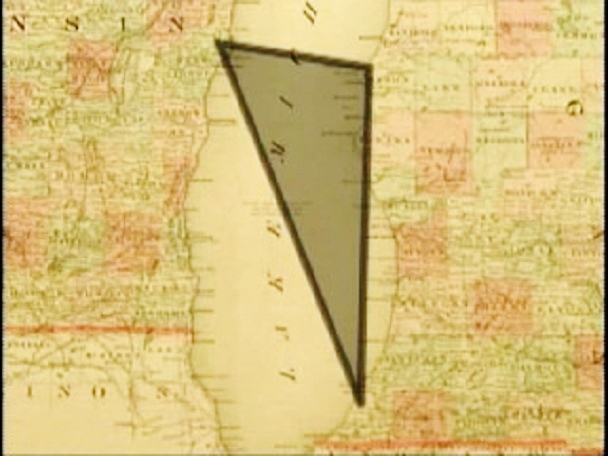 Another geographical triangle, located in the middle of Lake Michigan. It, too, is the site of mysterious disappearances of both land and sea craft….similar characteristics of the Bermuda Triangle, including ghost ships, strange disappearances and even UFO sightings. “There’s been some strange disappearances out there, there’s been many ships that have been lost that haven’t been found.” Bill Wangemann is a historian from Sheboygan, Wisconsin. He’s spent a lifetime gathering tales about the Lake Michigan triangle. the legend doesn’t end with sunken ships; nearly 40 planes have disappeared over Lake Michigan too. Probably the most famous is northwest airlines flight 2501 that took off from New York City headed for Minneapolis in June of 1950 and plunged into Lake Michigan just off Benton Harbor. No one survived. Then, there are the sightings of UFO’s and other strange anomalies in the sky. 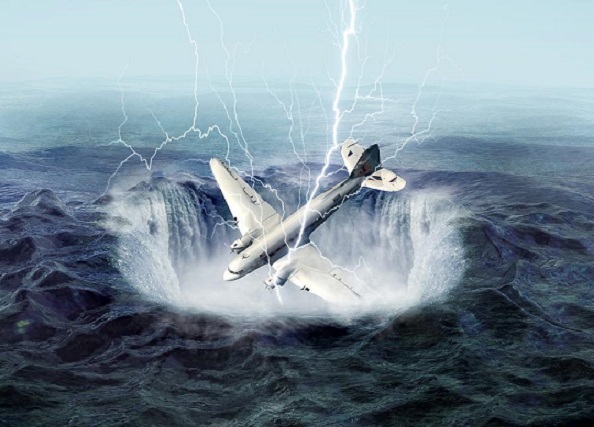 In fact there have been so many sightings of strange objects and phantom planes that the Federal Aviation Administration created a special lake reporting service to catalog the reported sightings. And yet still, thousands make the journey through the Triangle every season. “There’s dozen’s of these stories about different things that have occurred out there and people that have been lost and sailors that have disappeared off of ships and some people claim that there is something supernatural going on out on the lake,” says Wangemann. The wreck of the schooner Rosa Belle and the loss of 11 crew members and passengers, all members of the Benton Harbor cult House of David, shocked the nation in the fall of 1921. The wreck was discovered on Oct. 30, floating upside down by the Grand Trunk car ferry Ann Arbor No. 4. The captain of the ferry said it appeared as if the schooner had been in a collision with another vessel. But no other ship was found to have been in a collision that week. The aft section was smashed, the cabin was wrenched away from the deck and the ship’s rigging was floating loosely about the hull. The mystery of what happened to the Rosa Belle was never solved. Strange too was the fact that it was the second almost identical wreck for the Rosa Belle. The vessel capsized in the same area and drifted ashore near Grand Haven, Michigan, in August, 1875. Ten crew members were lost. The wreck was recovered at that time and rebuilt. Among the strangest of the mysteries was the disappearance of the schooner Thomas Hume, which disappeared without a trace in a Lake Michigan gale on May 21, 1891, while sailing empty from Chicago to Muskegon, Michigan to pick up a load of lumber. Seven sailors, including Captain George C. Albrecht, were lost with the ship. Even though the lake was searched thoroughly, not a stick of lumber or piece of flotsam from a wreck was ever found. Old sailors speculated that the Hume, a wooden vessel, could not have sunk without some wreckage floating away. To this day, the Hume’s disappearance remains unsolved. NOTE: The above image is a rendering. Yugoslavian Army jet fighter pilot Sauda Hamzica shared his UFO belief and his personal encounters. 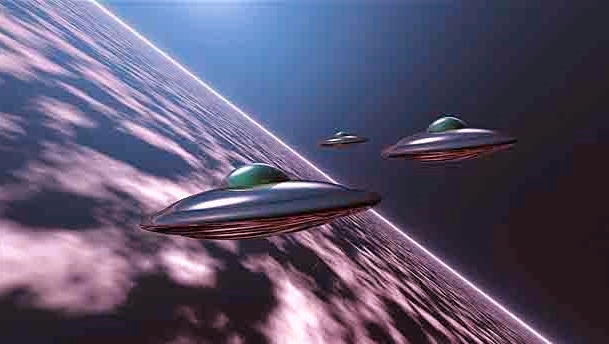 He believes that space UFOs have been visiting Earth based on many accounts by highly credible people along with his own personal experiences of these mysterious aerial objects. His first sighting was in the early afternoon in the spring of 1972 when he was in the region on Delcina flying a Mig-21 on a routine reconnaissance flight. Captain First Class Stipic Dusan was at the back of the two-seater jet. Hamzica was very certain that the UFO was higher than he was but could not determine the mysterious object’s altitude. Their jet was not equipped to fly at high altitude or at a speed over Mach 1.6 because it was only a reconnaissance flight. Hamzica decided to fly high to the limit of their jet to look the object closer. As he got closer, the object also started to get bigger. Even if he was 13,000 meters from the ground, he still could not tell the high altitude of the UFO. He estimated it to be at 17,000 or even 24,000 meters high. He saw the object moved between 4,000 to 6,000 km/h or 2500 to 4000 mph to the west and disappeared. Hamzica and Stipic discussed the sighting only between themselves and never talked about it to anyone else. No official report was filed and they thought the experience was part of their job. Few months later, Hamzica’s second sighting happened on a beautiful summer day. He noticed a silver, round UFO above one of the runways. He was in a square with members of the 352 reconnaissance squadron including pilots and technicians. He first assumed that it was a weather balloon but it was too early to be launched. Moments later, he observed that the object was not actually floating upwards like a weather balloon. He shout out loud the word UFO because of excitement. Everyone looked up and some made jokes about extraterrestrials. However, most people around him did not pay much attention on the UFO and only few did continue to watch. 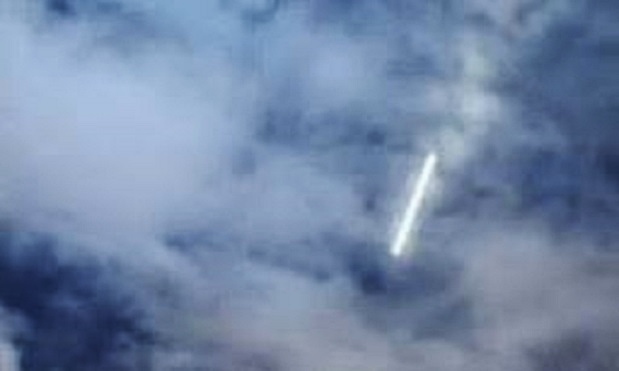 Similar to what Hamzica first witnessed, the UFO remained in one place then it zipped off to the west and disappeared. Those people who remained observing the object got puzzled but only very little discussion about the incident. His third encounter happened in late 1973 or early 1974 as he could not clearly determine the exact date. He was in a night training flight when he saw a glowing light. He first thought that it was a commercial plane but after a closer look, he figured out that it was a UFO as the light changed from light green, yellow to slightly purple. The UFO disappeared behind the clouds. 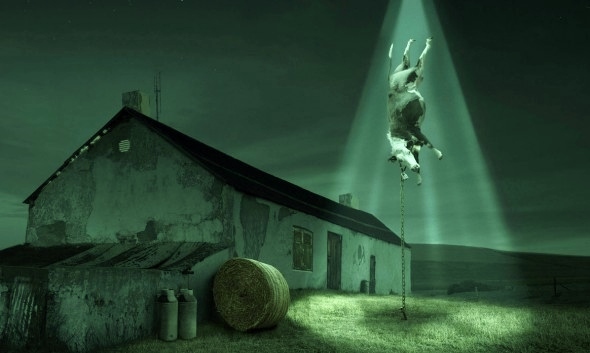 Hamzica said that after he retired from the Army, he had other sightings and managed to record mysterious lights in two occasions in 2008 and 2011. In both cases, the lights were very bright then suddenly disappeared. He checked news reports to know if somebody also had seen the lights but it seemed that the lights never appeared as no news about them in the media. Everyone looked up and some made jokes about extraterrestrials. However, most people around him did not pay much attention on the UFO and only few did continue to watch. Similar to what Hamzica first witnessed, the UFO remained in one place then it zipped off to the west and disappeared. Those people who remained observing the object got puzzled but only very little discussion about the incident. His third encounter happened in late 1973 or early 1974 as he could not clearly determine the exact date. He was in a night training flight when he saw a glowing light. He first thought that it was a commercial plane but after a closer look, he figured out that it was a UFO as the light changed from light green, yellow to slightly purple. The UFO disappeared behind the clouds. Hamzica said that after he retired from the Army, he had other sightings and managed to record mysterious lights in two occasions in 2008 and 2011. In both cases, the lights were very bright then suddenly disappeared. He checked news reports to know if somebody also had seen the lights but it seemed that the lights never appeared as no news about them in the media. NOTE: The above image is a rendering.